Accommodation in Runswick Bay, North Yorkshire. Our 7 day weather forecast for Runswick Bay updated throughout the day, making it ideal for planning leisure activities, travel and events. Read more about our weather forecasts. On Monday 22nd April 2019 the sun will rise at 05:46 and will set at 20:20. It will be a mild day, with temperatures reaching around 16.3°C. Today is expected to be a dry day, with a very low chance of rain. It will be quite a breezy day, with a maximum expected wind speed of 25mph. On Tuesday 23rd April 2019 the sun will rise at 05:43 and will set at 20:22. It will be a mild day, with temperatures reaching around 13.1°C. Today is expected to be a dry day, with a very low chance of rain. It will be quite a breezy day, with a maximum expected wind speed of 23mph. On Wednesday 24th April 2019 the sun will rise at 05:41 and will set at 20:24. It will be a mild day, with temperatures reaching around 12.7°C. A light shower is possible, 1mm of rainfall is possible today. There could be quite a strong breeze in the air today, with a maximum expected wind speed of 23mph. On Thursday 25th April 2019 the sun will rise at 05:39 and will set at 20:26. It will be a mild day, with temperatures reaching around 12.2°C. A light shower is possible, 2mm of rainfall is possible today. It could be quite a gusty day today, with a maximum expected wind speed of 27mph. On Friday 26th April 2019 the sun will rise at 05:37 and will set at 20:27. It will be a mild day, with temperatures reaching around 14°C. Today is expected to be a dry day, with a very low chance of rain. It could be quite a gusty day today, with a maximum expected wind speed of 28mph. On Saturday 27th April 2019 the sun will rise at 05:34 and will set at 20:29. It will be a mild day, with temperatures reaching around 13.3°C. A light shower is possible, 1mm of rainfall is possible today. It could be quite a gusty day today, with a maximum expected wind speed of 30mph. On Sunday 28th April 2019 the sun will rise at 05:32 and will set at 20:31. It will be a mild day, with temperatures reaching around 7.9°C. Today is expected to be a dry day, with a very low chance of rain. It will be quite a breezy day, with a maximum expected wind speed of 26mph. Our weather forecast for Runswick Bay is updated throughout the day and has been found to be very reliable for planning activities such as days out, leisure, travel, events, fishing, golf and gardening. The Firs Guesthouse is a large, family run Guesthouse with private off road parking. 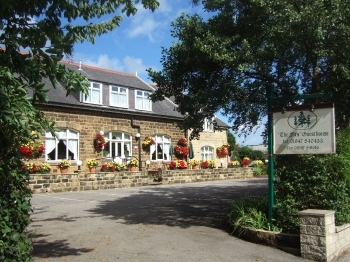 The Firs is situated in the picturesque coastal village of Runswick Bay, 8 miles north of Whitby, on the edge of the North Yorkshire Moors National Park. This enviable position offers the quietness of a quaint old fashioned fishing village with a beautiful sandy bay complete with rock pools, fossil hunting and jet finding. Runswick Bay offers close proximity to many of the North of England's major tourist attractions, just 20 minutes away from Whitby and is also an ideal base for walking the Cleveland Way or for just driving around the scenic National Park.